Held on the first Tuesday of the month at the Village Hall, London Road (A224) in Dunton Green, Kent. DUNTON GREEN EVENING EVENTS 2019. January 1st Harry Clark, A surprise for everyone. February 5th David Ralph, Rallies of the 80’s. March 5th Roy Larkin, Heavy Haulage. April 2ND Andy Ballisat, More Scrap yards. May 7th Alan Scott, And now for something completely different. June 4TH Andy Ballisat, Old Malta Transport. July 1st Bring your vehicle evening at The Jolly Farmers Pub. August 6th TO BE ANNOUNCED. September 3rd Brian and Sue Sharp, Proper old film night. October 1st Terry Blackman, Back by popular demand with more pics. November 5th Alan and Lyn Cullen, Pot-Pourri, a collection of 2019 shows. 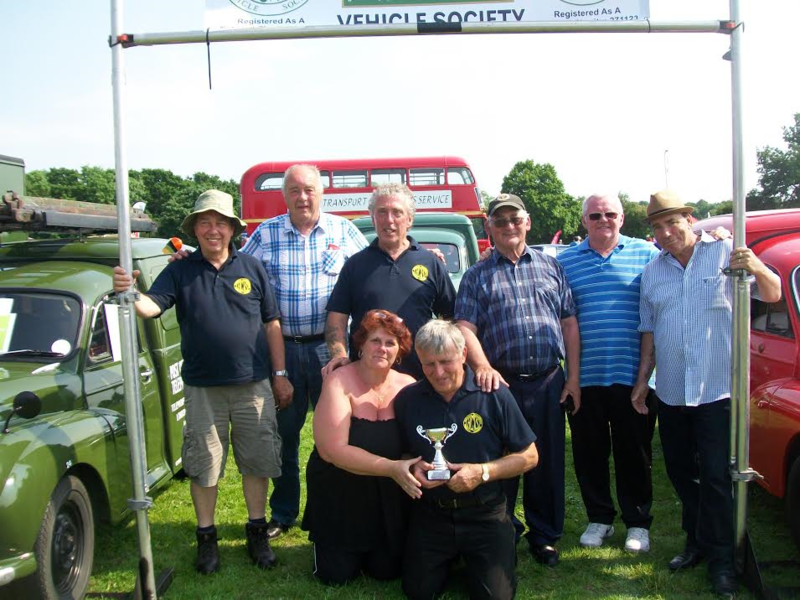 The London and South East Area, stand at the Bromley Pagent of Motoring won a trophy for the best stand at the show. Chairman Alan Lusted and Secretary Diane Taylor Proudly show off the trophy surrounded by the Members.